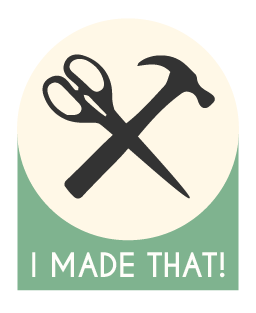 Thirty-Seven: Curbside Chairs – I Made That! 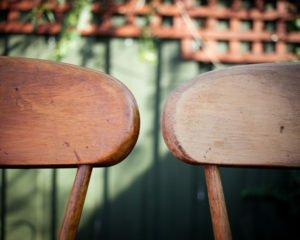 Many moons ago I came across a pair of much loved chairs by the side of the road just outside our house. 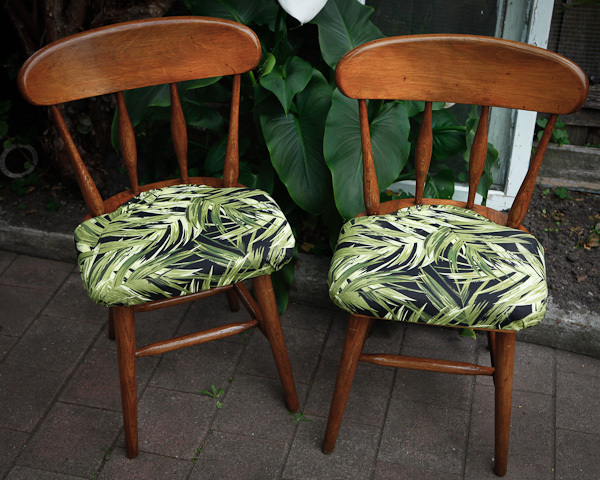 It appeared that someone else had had given up partway through a reupholstering attempt and I thought I would pick up where they had left off. After quite a while taking up a lot of space in our garage that we didn’t really have to spare an ultimatum was set; either work was to commence or the chairs needed to go. 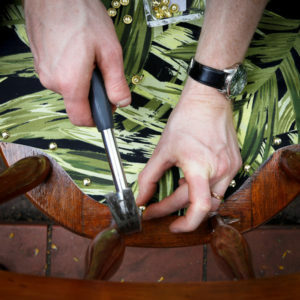 So we began to finish the task of stripping back the chairs in preparation to reupholster. 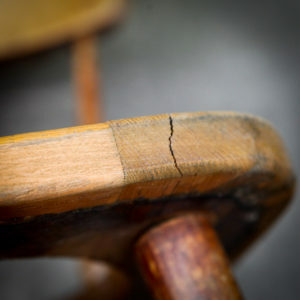 Partway through, I discovered what I assume was the reason the previous owners halted work on the project; a nasty crack in one of the chairs. But I wasn’t about to give up that easy. So I measured up and set to creating a brace from some leftover hardwood I had lying about from some other long forgotten project. 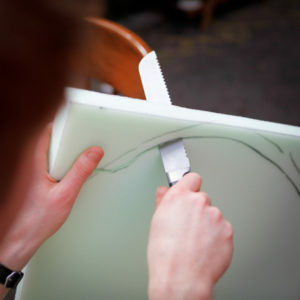 Meanwhile, Zara had taken the old vinyl covering and made up a paper template for our new upholstery. 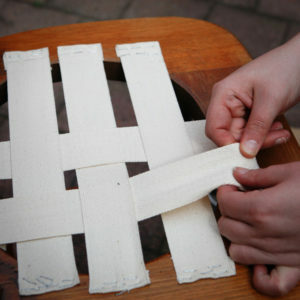 Using her sewing skills she was quickly able to cut out and sew the top layer to a calico backing for extra durability. But after a hiatus of some more moons, work continued. I threw a lot of elbow grease into sanding back the timber before getting a few coats of stain/varnish on, giving the old chairs a fresh breath of life. Now the end was in sight and we set about powering home. Some heavy duty cotton webbing stapled on, cut the high density foam to shape (tip: foam is the same texture as bread, so use a bread knife to cut it! ), then it was time to put everything together. Some more staples on the underside and some nice brass tacks for the top and the chairs were finally complete! 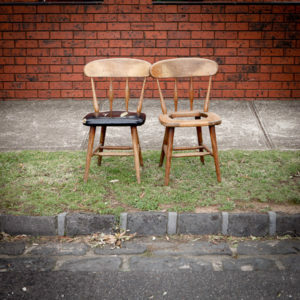 From hard rubbish to comfortable spare chairs. Nice work, they still look great.